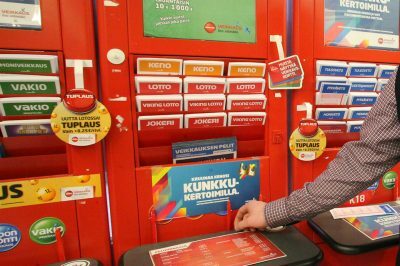 Gambling advertising in Finland, where the state-owned monopoly Veikkaus is the only gambling operator allowed to market its products, is not in line with public health practices, the National Institute for Health and Welfare has warned. Adverts should face more restrictions and more stringent regulations on gambling marketing must be implemented, according to health experts. Marketing of betting and gaming products results in increased gambling rates and, therefore, has a direct impact on the prevalence of problem gambling, senior researcher at the National Institute for Health and Welfare (THL) Jani Selin said, cited by the Finnish national broadcasting company Yle. The advertising slogans of Veikkaus, however, fail to convey the messages about the risks associated with gambling, he added. Veikkaus is the national betting and gaming agency in Finland and it has exclusive rights to provide gambling products and to advertise them in the country. Offshore gambling operators and online casinos are not permitted to advertise their services in Finland. At the same time, it is not illegal for Finnish customers to access foreign gambling sites and in the past few years, offshore casinos and sportsbooks have become a huge competition for the state monopoly. To respond, Vekkaus has recently announced it would be investing €8 million in diversifying its online products. This expansion in the online sector seems to be raising even more concerns. Health experts believe that even now, Vekkaus’ advertisements are “at odds with public health communication”. They should be more in line with the way other “harmful” products are being marketed such as alcohol and tobacco, according to the THL. Finland introduced a complete ban on advertising tobacco products in 1976. Alcohol ads are still permitted but extremely restricted. 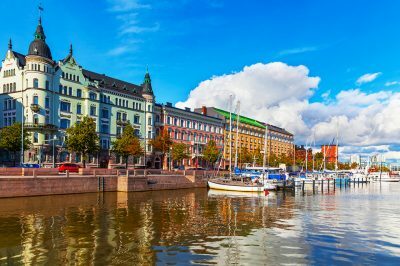 The marketing campaigns of Finland’s gaming monopoly fail to warn and inform the customers of the dangers of compulsive gambling, according to health institute. Furthermore, with an annual marketing budget of nearly €50 million, Veikkaus is currently one of the largest advertisers in the country, THL says and urges authorities to review the agency’s funding allocated for ads. Veikkaus, however, has dismissed the concerns regarding its gambling advertising practices. The monopoly, which is fully owned by the Finnish government, is allowed to advertise only “green games”, i.e. gambling products that are associated with a lower risk of triggering gambling addiction or various problem gambling behaviors. Red games, on the other hand, are slot machines, as well as slot games. Veikkaus’ managing director Velipekka Nummikoski responded to the claims by saying that the agency’s marketing is not harmful at all. Meanwhile, anti-gambling campaigners launched a citizens’ initiative that aims at banning slot machines from stores, restaurants, and gas stations, Yle reported. The initiative, which started on March 23, has already collected more than 10,500 signatures. According to the publication, however, a minimum of 50,000 signatures are required for the campaign to advance to the Parliament.